Hout Bay is situated along the Atlantic seaboard of the Cape Peninsula and is surrounded by gorgeous mountains. Hout Bay is just a 20 minute self-drive or chauffer drive tour from Cape Town’s City Centre and is an extremely popular destination for tourists. 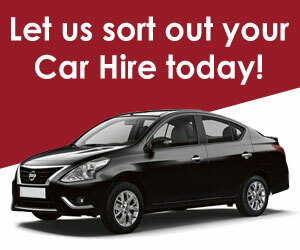 Hiring a car in Hout Bay is definitely the way to go as it will give you the freedom you need to explore. Hout Bay was named in 1952 by the Dutch explorers who founded it, the name literally means “Wooded Valley” it was named this because of the dense forests that were found in this area at that time. The timber that was found in Hout Bay was used by to help build the city of Cape Town. Hout Bay is a fantastic place to sit back and relax, with its glorious white sand beach and its fantastic mountain and harbour views you will find yourself feeling at home. Hout Bay offers locals and tourists a plethora of shops and restaurants to choose from, so as to meet your every need. If you keen to explore the delights that Hout Bay has to offer then take advantage of our fantastic rates and book a car with CABS Car Hire.